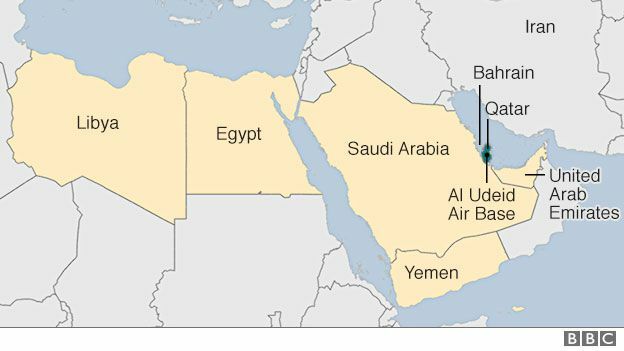 Last June 5, Egypt, Bahrain, Saudi Arabia, the United Arab Emirates (UAE), Yemen, Libya not recognized government and even the Maldives declared their intentions to cut ties with Qatar, accusing the state of being a shelter for and a sponsor to a multitude of terrorist and sectarian group aimed to bring chaos in the region, like Muslim Brotherhood, al-Qaeda and ISIL. Moreover, the coalition lead by Saudi Arabia that is fighting against the rebels in Yemen decided to cut Qatar off the alliance. The sanctions that the members of the Gulf Cooperation Council (GCC) imposed since now are trade and travel ban with air, land and sea blockade Â but they are likely to further and become even economic. First of all, Qatar is a tiny country in the Arabia Peninsula with the most high GDP per capita ($145,894) and it is the third natural reserve of gas and oil in the world, the South Pars / North Dome Gas-Condensate field in a shared ownership with Iran. Last April, Qatar made a deal with Sunni and Shiite militias in order to release some Qatari hostages, including royal, and to withdraw the militias in Syria to let humanitarian aid pass and civilians evacuate safety. To secure this deal Qatar paid Â $700 million to Iranian-backed Shi'a militias in Iraq and others $140-120 million to Tahrir al-Sham, also known as al-Qaeda in Syria. In May, in occasion of the Riyadh Summit, Donald Trump visited Saudi Arabia and made a $110 billion arms deal with King Salaman, appreciating his efforts in the War on Terror in the region. During this days there was an alleged hacking of the Qatar News Agency by which was published a fake statement done by the Emir of Qatar, Sheikh Tamim bin Hamad Al Thani, in which he called Iran an "Islamic power important in the stabilization of the regionâ€�, saying Qatar's relations with Israel were "good" and claiming U.S. foreign policy. In addition, agencyâ€™s Twitter account was hacking too and the tweets published were reporting the Qatar foreign minister accusing Arab nations of plotting against his country. The hacking was denounced by Qatari officials and the FBI sent a team in order to investigate about it. Later, even the mail-box of UAEâ€™s ambassador to the U.S. Yousef Al-Otaiba, was hacked and link with pro-Israeli think-tank in Washington, the Foundation for Defence of Democracies, was discovered and the mails revealed at least an. The 5th June, early in the morning, Bahrain, the UAE, Saudi Arabia and Egypt stated they will sever diplomatic relations with Qatar, in particular Bahrain gave Qatari diplomats 48 hours to leave, Saudi Arabia, Bahrain and the UAE allowed Qatari residents in and visitors only two weeks to come back to Qatar. The Ministry of Foreign Affairs of Qatar responded by saying there was no justification for the severing of ties: â€œThe measures are unjustified and are based on claims and allegations that have no basis in fact. The aim is clear, and it is to impose guardianship on the state. This by itself is a violation of its (Qatarâ€™s) sovereignty as a stateâ€�. The U.S. Secretary, Tillerson, repeated that it is important that the GCC remains unified. In Qatar there is the largest U.S. military base in the Middle East. The Emirates companies suspended their flights to Qatar, followed by others air companies. Saudi Arabia closed its borders with Qatar while Iran called for dialogue because this disputes is not good for any state in the region and it showed itself in order to support Qatar in its isolation, â€œfood shipments sent from Iran can reach Qatar in 12 hoursâ€�. During the evening, Kuwait emir called Al Thani recommending to not do any statement which could escalate the situation. The 6th June, Qatarâ€™s airlines suspended their flights to Egypt, Bahrain, and the UAE. Trump tweeted â€œDuring my recent trip to the Middle East I stated that there can no longer be funding of Radical Ideology. Leaders pointed to Qatar - look!â€� while the Pentagon repeated his commitment to Qatar for supporting US military presence in the region. The Kuwait emir flew to Saudi Arabia in order to talk with king Salaman to find a way to solve the clash. Erdogan took part in the dispute stating that the accusation towards Qatar are very serious and judged the sanctions as â€œnot goodâ€� Â and that Turkey will develop ties with the tiny state. Even Jordan downgrades his ties with Qatar aimed to regional security and stability. The 7th June, even Mauritania accused Qatar for supporting terrorist groups but civil society protested for this decision. Early in the morning, UAE banned people to show sympathy for Qatar, claimed as cybercrime punishable by law with imprisonment up to 15 years. Etihad airlines banned Qatari from travel and transit via UAE. US investigators believed that Russia was involved in the cyber attack against Qatar. The Kremlin response is that there are no proof that Russian hackers were involved. Meanwhile, the Kuwait went to Abu Dhabi in his travel in order to solve the crisis and the UAE reduced the restrictions over cargoes of oil from and to Qatar. Turkey enjoyed Iran in supporting Qatar with exportation of food and started to think about increasing its military support. At 8.00 pm, Turkish Parliament approved a legislation that allow troops deployment in Qatar, as a part of an agreement first signed in 204. Not so later, Donald Trump called Al Thani, the White House stated: â€œThe president underscored that a united Gulf Cooperation Council is critical to defeating terrorism and promoting regional stabilityâ€� and Trump offered his help in solving partiesâ€™ differences. Finally, the Kuwaitâ€™s emir arrived to Qatar and, after a brief discussion with Qatarâ€™s emir, flew to home. The 8th June, Donald Trump is still on the phone calling several parties involved, in particular he called the UAEâ€™s prince but nothing changed, basically Trump repeated his concerns over the crisis and emphasized the fact that the GCC has to remain united. While Pakistan declared its will to continue relations with Qatar, Bahrain followed UAEâ€™s example making illegal every manifestation of sympathy for Qatar or its policies.